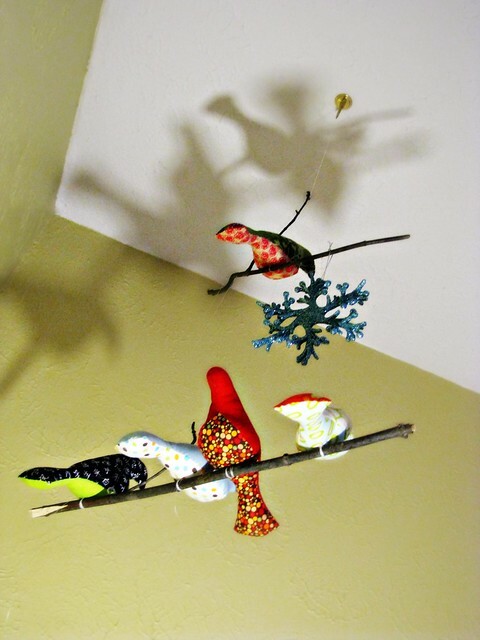 I made this mobile of Spool birds several months ago, but they’ve just been hard to photograph, so I haven’t bothered to post about them. Christmas morning, while waiting for the girls to wake up, I snapped another pic from my seat on the couch. I love the shadows they cast enough that I think I’ll go on and post this anyway. Here’s a more straight on view. 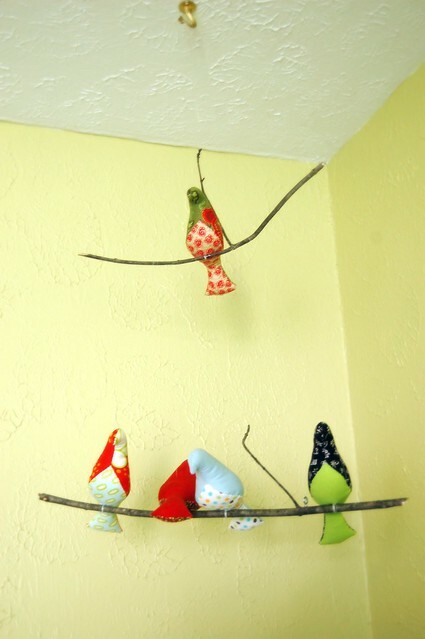 Check out the Spool Sewing birds here and find the free PDF pattern and tutorial here. They’re hand sewn and very easy, a great craft to do on the couch in the evenings while you relax. Sorry for the blurry picture, but doesn’t it make it look even more like they’re flying? 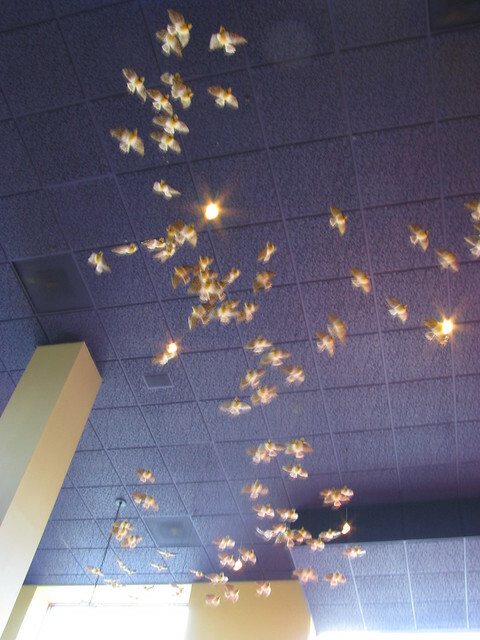 This is the ceiling at Flight in Hendersonville, NC. I was lucky enough to visit there on a girls’ weekend several years ago. I have so many happy memories from that trip! My little bird mobile makes me think of it and smile.